A few months back, Salman had even shared a picture of his pet that was glued to the TV screen watching Salman’s song Selfish from Race 3. 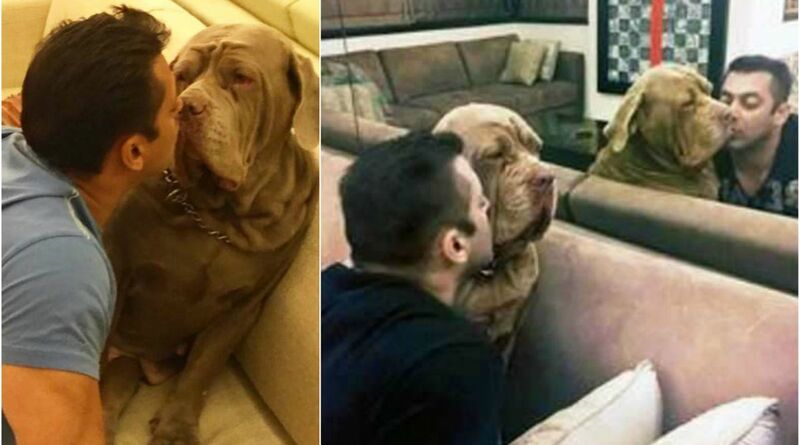 Bollywood actor Salman Khan’s pet dog passed away on Thursday night. The actor had three dogs – My Son, My Jaan, and My Love. Salman has other pet dogs named Saint, Mowgli, and Veer, however, his other two dogs My Son and My Jaan died back in 2009. On the work front, Salman returned from Abu Dhabi after wrapping up the schedule of his upcoming film Bharat which also stars Katrina Kaif, Disha Patani, Tabu, and Sunil Grover.